There’s a reason many people refer to South Walton (30A) as a “getaway” instead of a “vacation.” It’s because our sugar-white sand, turquoise water, and welcoming beach neighborhoods offer a mental and physical escape from day-to-day life outside of South Walton. A getaway at your perfect beach transports you to a more peaceful, relaxed, and energized state – and leaves you with lasting memories to treasure for years to come. 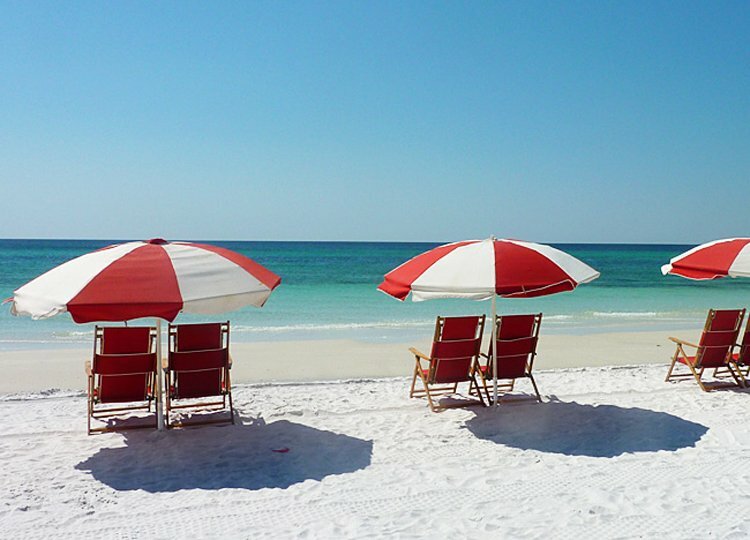 We believe that the world’s best white sand beaches are located in South Walton Florida, along 30A highway. We are blessed by spectacular sugary white finely ground quartz sand that is considered the best in the nation. The sparkling sand here is so fine that it literally squeaks beneath your feet. And because it reflects the sun’s heat away from the surface and it will NOT burn your feet! In fact, the sand is such a brilliant white that that sunglasses are required. Southern Living Magazine readers have consistently ranked the Emerald Coast/30A area “The Number One Beach Destination” for many years. Portions of the The Emerald Coast/30A are named among the “Top Ten Most Beautiful Beaches in the Nation” by Dr. Beach and TripAdvisor. Seagrove Beach is named for the lush green trees that surround this beautiful stretch of coastline, including oaks, hickories, magnolias and sand pines. What was once a remote town that was reached by dirt road has now grown into a popular tourist destination along the Emerald Coast. Seagrove Beach features a mix of new beach villas, condos and historic homesteads. Nearby Point Washington State Forest offers the opportunity for outdoor recreation with hiking and biking. Seagrove beach has a variety of restaurants, including delis, pizza/pasta eateries and fine dining. 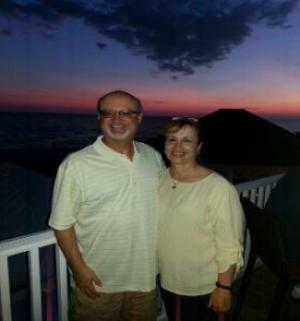 Over the years, we periodically vacationed in Destin, Panama City and Rosemary Beach. We have also vacationed at beaches all over the east coast, but nothing compared to this area. We fell in love with the 30A area and hoped one day that if we ever would have a second home it would be on 30A (if the opportunity ever presented itself). In 2014, we were fortunate enough to find the perfect home for us close to everything! We have traveled the world and there are very few beaches that are as nice as the sugar white sands and turquoise waters of the Emerald Coast. 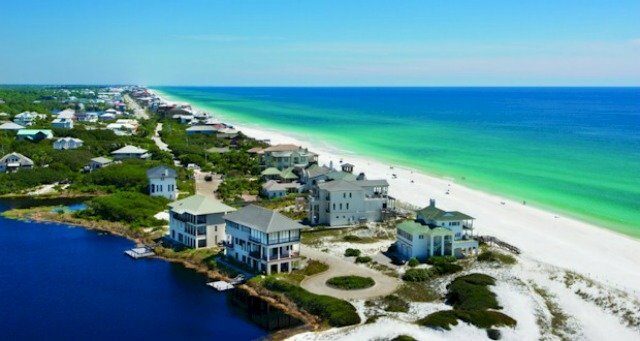 Add the small town feel of 30A and you have a setting unlike anything in the USA or abroad. This quality built, furnished home south of Scenic Highway 30A in Seagrove Beach is approximately a 3 minute walk from one of two neighborhood pools at Summer's Edge, and approximately a four and a half minute walk from the beach access. Features include 10-foot ceilings on the first floor, 9-foot ceilings on the second floor and vaulted ceilings on the third floor, all of which are accentuated by 8-foot doors with upgraded oil-rubbed bronze hardware. Each of its three floors feature covered Trex porches with additional sun decks on the third floor that capture Gulf views. Beautiful Brazilian teak hardwood floors exemplify the many fine features found throughout this home. They are joined by travertine stone floors in the master bath, porcelain tile floors in the guest baths, heavy crown molding as well as very tasteful plumbing and lighting fixtures. We are online every day and will respond to you as quickly as possible! "Deserves more than 5 stars! We just came home from a week long stay at Sea-esta in Seagrove Beach Florida and WOW! This home is more than what you can see in the pictures." Emily K.
Copyright © 2019 "Sea-esta" on 30A in Seagrove Beach. Powered by WordPress. Theme: Accelerate by ThemeGrill.